This adapter bolts into place of the factory MDP sensor on top of the stock 2G intake manifold. 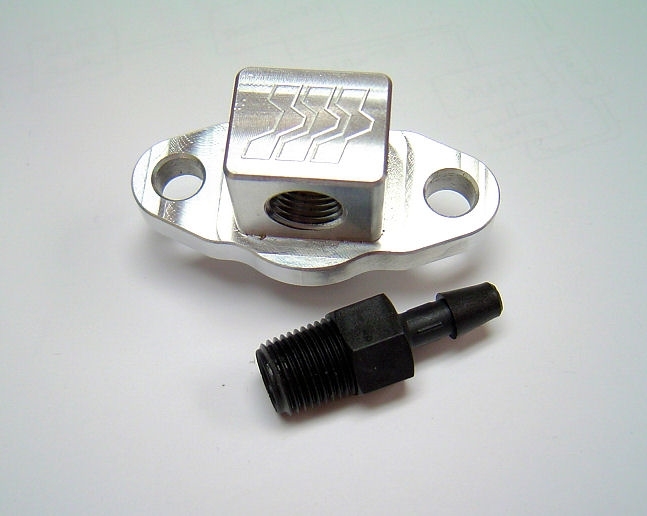 You can either screw in the included 1/4" x 1/8" NPT hose barb fitting and run a short vacuum hose to your boost sensor or directly connect an AEM boost sensor. In either case, use some teflon tape on the threads for a proper seal.